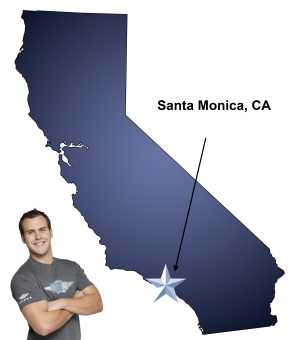 If your future in Santa Monica includes a move, check out Meathead Movers! Our professionally-trained student-athlete Santa Monica movers, moving concierge, and princess packers are prepared to get you safely moved into your new home. With its iconic beach and seemingly everlasting sunlight, Santa Monica is not only an ideal tourist stop but a wonderful place to live. The beach in Santa Monica is one of the most popular in California, featuring a long stretch of golden sand and a well-established pier with plenty of outdoor activities. While many people may consider Santa Monica for their latest vacation, it is also a great place to live. Fortunately, moving to this sunny coastal city is easier than ever with Santa Monica movers. When considering a new place to live, it is clear that Santa Monica stands out. The pier was built in 1909 and features the historic Looff Hippodrome and carousel. Palisades Park offers unparalleled views of the beach and pleasant walking trails. Off the beach and toward town, Santa Monica has an array of other opportunities including shopping on Montana Avenue and the Third Street Promenade. The entire downtown is readily catered to walkers and the area is vibrant at day or night making it a wonderful place for all. However, while picking Santa Monica as a place to call home may be relatively easy, finding the right movers can be a bit more difficult. For the best moving experience possible, look no further than our Santa Monica movers. While moving companies may be a dime a dozen, Meathead Movers stands out for its innovation and dedication. Fully staffed by student-athletes, the employees at Meathead Movers are not only capable but energetic and helpful. These movers defy stereotypes and will jog when not carrying anything. Specifically, Meathead Movers offers a range of services, including packing and storage. Options for local and long-distance moving are available, as are choices for residential and commercial moving jobs. Meathead Movers can also provide on-site moving and clients have access to a unique moving concierge service, which connects you with local service providers. Unlike other Santa Monica movers, the Meathead staff is friendly, prompt, and dedicated. More than that, Meathead employees undergo training at Meathead University and do not smoke or use drugs. Overall, there are many reasons to move to Santa Monica. However, while the golden sands may be an obvious choice, choosing Meathead Movers should be even more certain. Do not trust such an important event to other Santa Monica movers. To see how Meathead Movers can help you, please contact us for a free quote and more information. Moving to Santa Monica? Here are some helpful resources. View more Santa Monica resources. Reliable, friendly, hard working employees. Have used your services two times, and will use again whenever I am moving. Will absolutely recommend to family and friends. Thank you again!